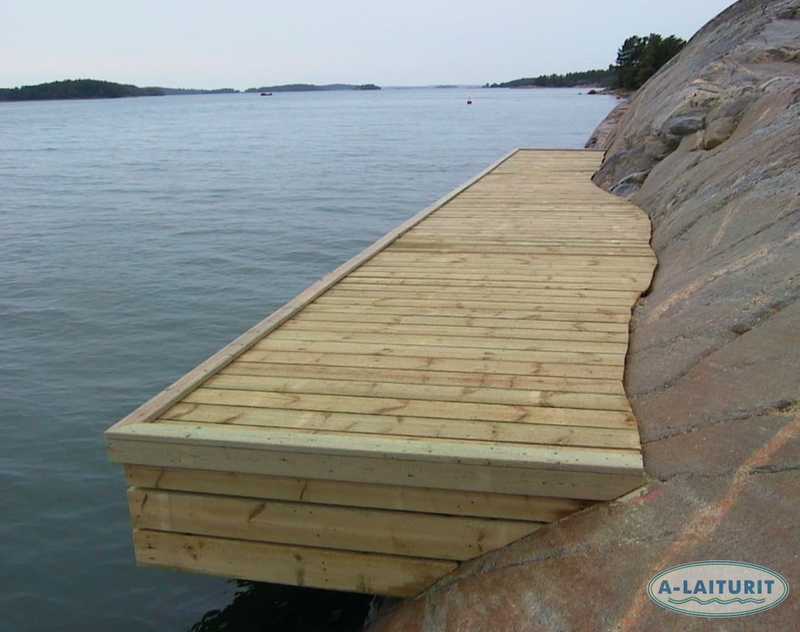 This elegant post-dock is built straight onto the rock and beautifully follows the shapes of nature. 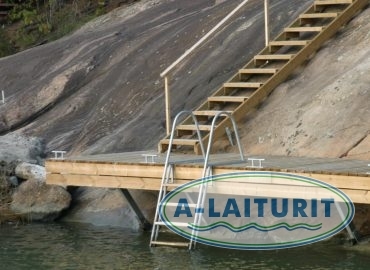 The sturdy dock serves as a safe harbour as well as a perfect sauna dock. 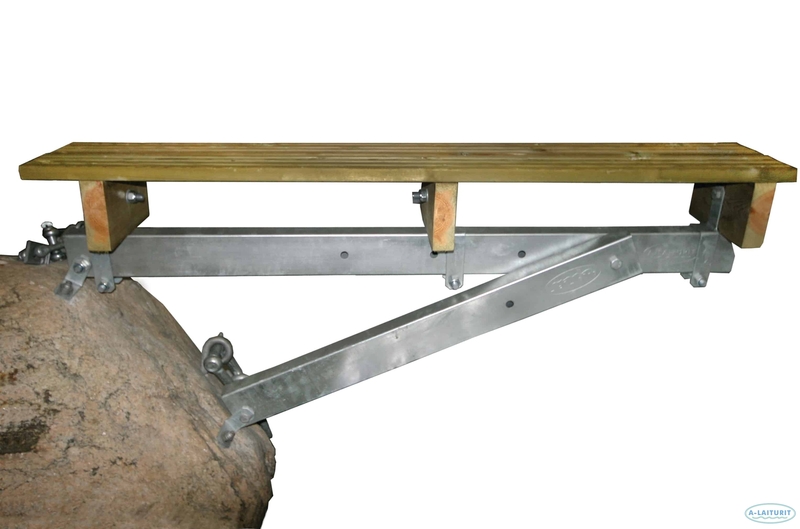 The foundation of the fixed dock consists of strong, hot dip galvanised steel frame posts, which due to their method of construction can conform to nearly all shapes and forms of solid rock. 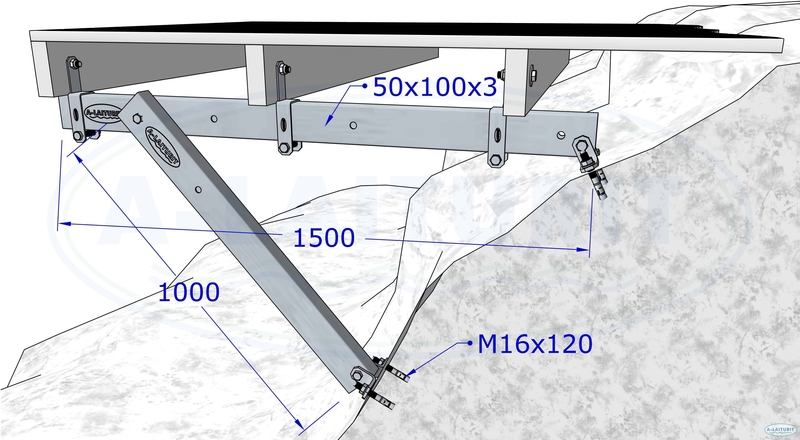 The width of the dock is around 1.5m-2.0m. 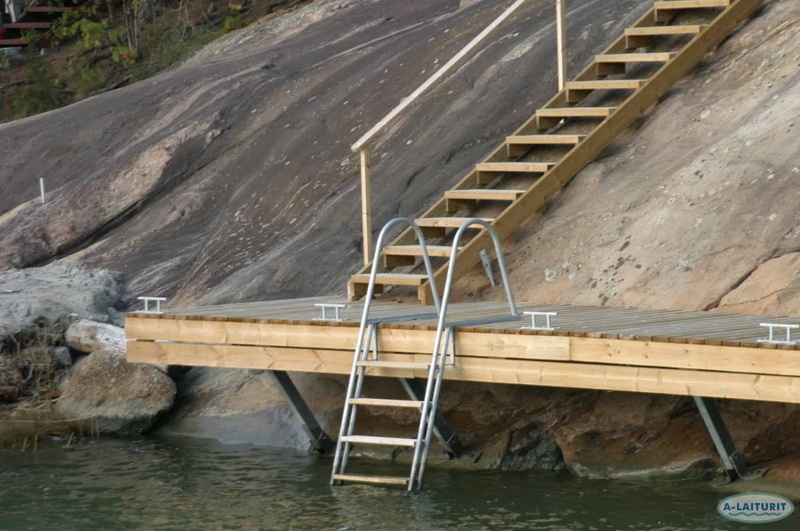 The height of the deck above surface is at least 1.2m. Sometimes impossible is a possibility. Self-installed. 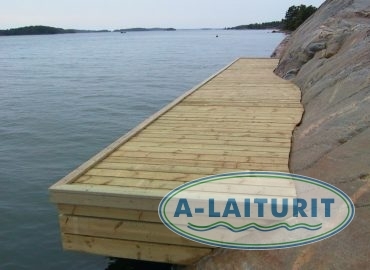 The package includes fasteners for the wooden components as well as supplies for attaching the dock to the rock. 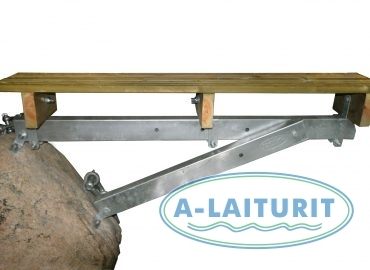 Conforms with the shape of the rock, weight: 22kg/post, beams installed with gaps of approx. 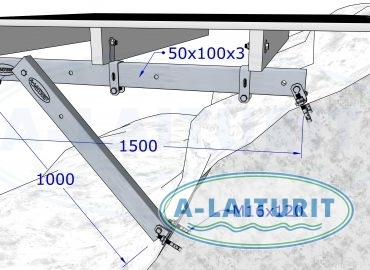 1.5 m.